Patch Kitchen & Garden opened in late 2013 in historic premises that was once a post office and general store. It quickly became a favourite among families with its beautiful garden setting, designated play areas and their fresh, wholesome, flexible menus. 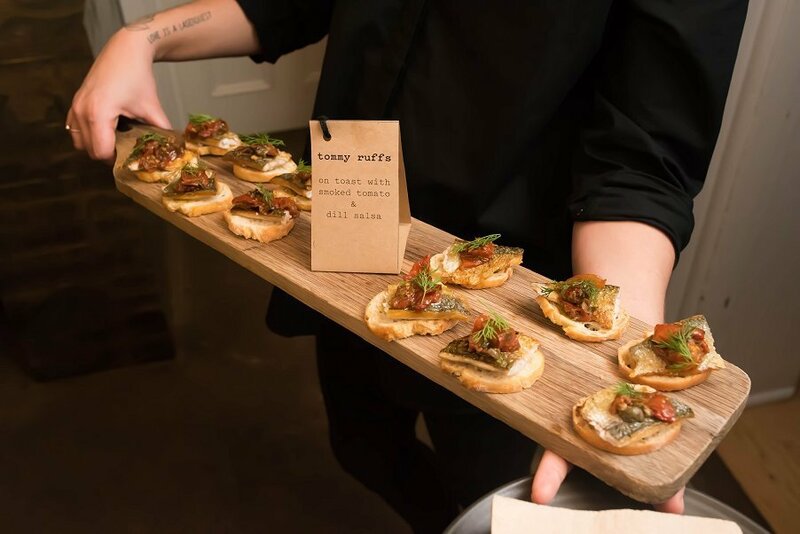 Hospitality veteran and Owner, Ben Barnett decided to take things to the next level with the launch of Dinners After Dark. Running Thursday to Saturday evenings, starting tomorrow, the aim is to introduce restaurant style dishes. The new evening dining has allowed the team at Patch to implement creative twists to the menu. 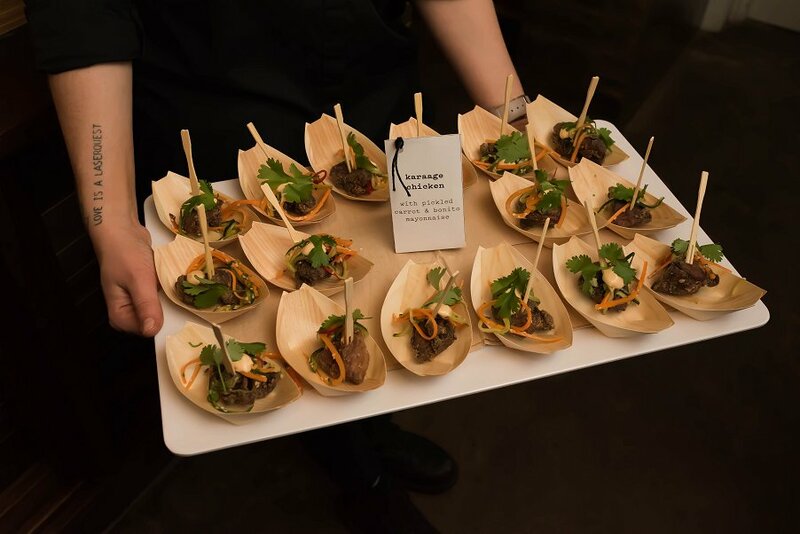 Adelaide Food Central, along with other invited guests, had the privilege to sample some unique creations in the form of canapes. We started the night with the Mushroom and Truffle Parmesan Arancini. The arancini balls were fried to a light, golden brown. You could taste the earthiness from the mushroom and the ever so subtle hint of truffle. The shaving of parmesan added a lovely sharpness to the canape. Next was the Baked Eggplant. The eggplant was soft and delicate, and roast tomato sugo was well absorbed into the vegetable. The basil provided a burst of freshness, while the parmesan crisp added a nice, crunchy component. Things started to get fishy with the Tommy Ruffs. Sitting on a crunchy piece of toast, the morsels of fish were soft and delicate. There were hint of smokiness from the tomato which was balanced by the sweetness of the dill. 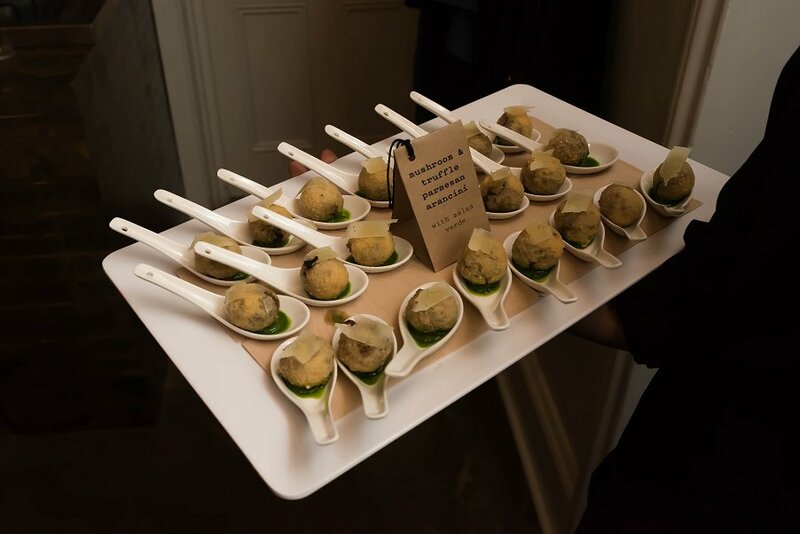 One of the group favourites was the Chicken and Tarragon Croquettes. This canape had a taste that was similar to Kentucky Fried Chicken, except it was less oily and the coating a bit thinner. The chicken filling was well refined and appropriately seasoned. 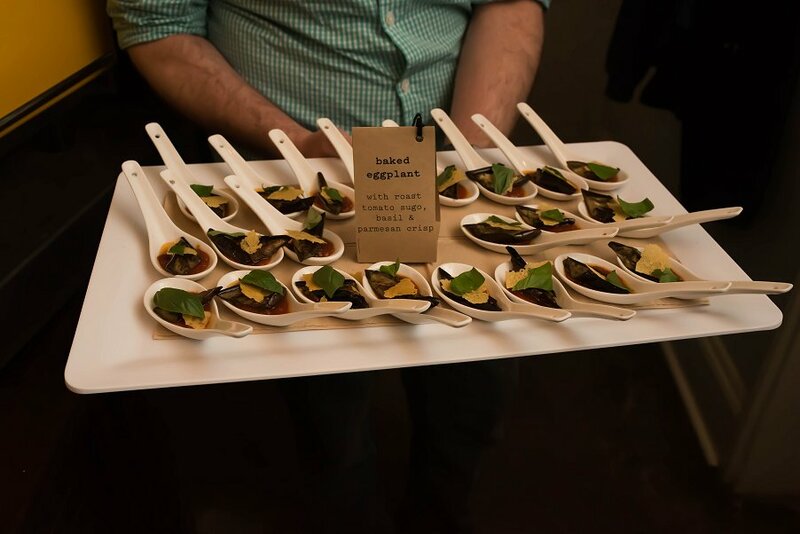 A favourite among foodies was the Beef Cheeks. 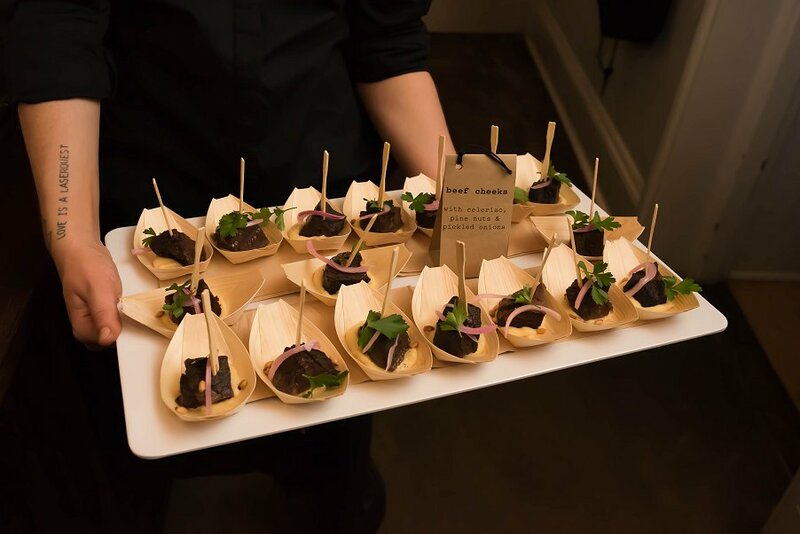 Each morsel of beef cheek was juicy and succulent, and I just loved the way the connective tissue just melts in your mouth. The pine nuts added a nice crunchy texture while the pickled onion brought a much need tanginess to the dish. 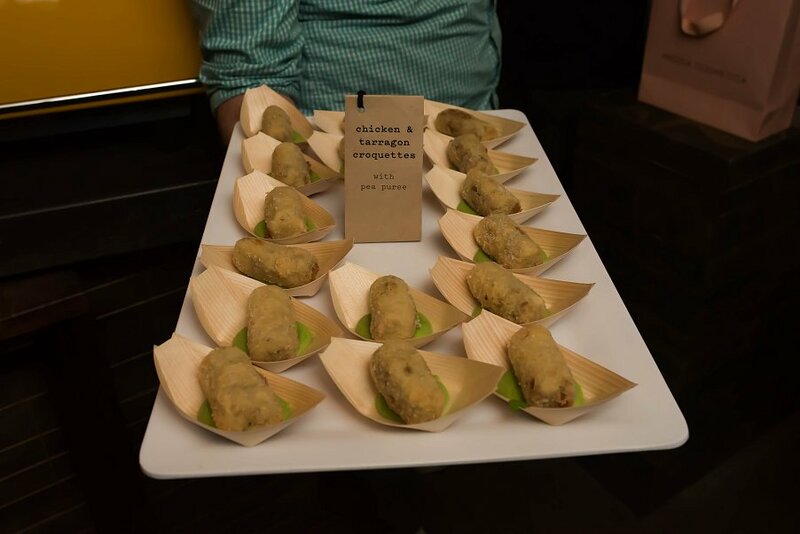 The last of the canapes was the Karaage Chicken. To me, this dish was like a fusion of Korean and Vietnamese. The morsel of chicken was crispy on the outside, and juicy and succulent within. This worked well with the crunchiness of the pickled carrot which also brought a sweet and tangy component. Wine lists have been expanded to offer additional local wines, beers and ciders to complement the new dishes. Diners who enjoy memorable food created with exceptional local, seasonal and wholesome ingredients, served in beautiful surrounds are invited to join the team at Patch for a journey of culinary passion. Dinners After Dark at Patch commence May 19th, every Thursday, Friday and Saturday. To make a reservation, call (08) 8339 8087.